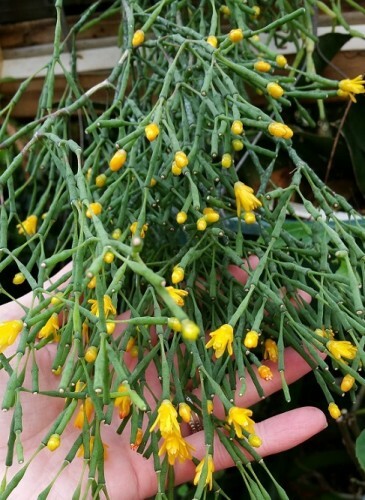 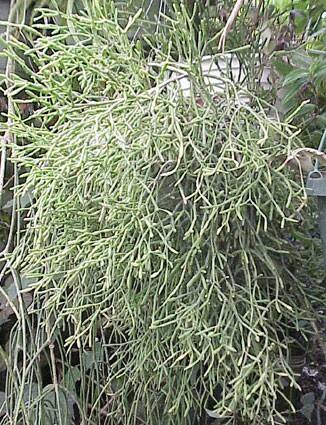 "Drunkard's Dream" or "Dancing Bones" Epiphytic Rhipsalis cousin with stiftly arching thickly-branched sprays of bottle-shaped branchlets tipped with yellow flowers fading to salmon; soon makes a wonderful windowsill potplant (or with time, a stunning hanging basket subject) with very regularly dividing bone shaped stem section forming a very symetrical outline. 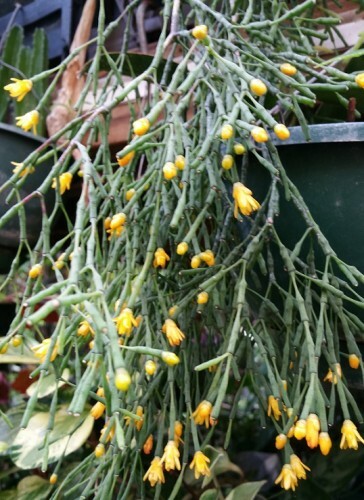 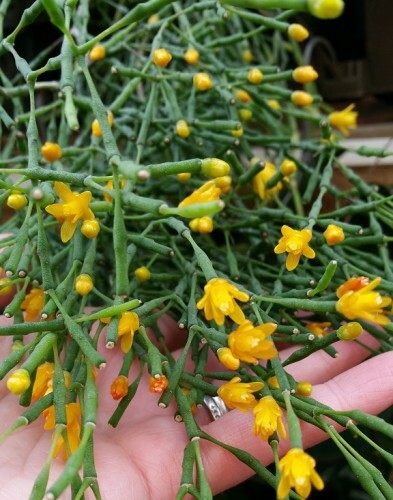 Distinct from and quite unlike its Rhipsalis kin in that the "Drunkard's Dream" has stem segments which are determinate, meaning in botanical terms that each little bottle shaped segment has a predetermined size and shape when it starts to be formed. 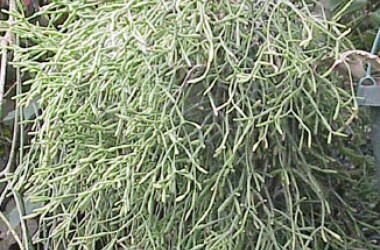 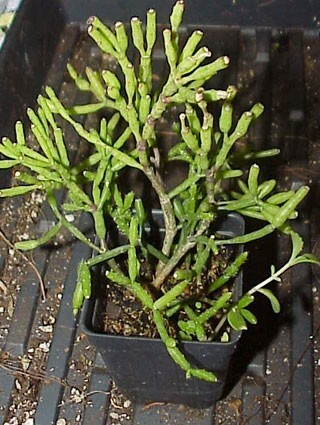 Usually shipped as unrooted cuttings in dry moss.